It is factually inaccurate to claim that Jesus spoke more about hell than about any other single subject. He did not. The whole Bible is completely silent about ‘hell’. For the first five centuries, few Christians held a doctrine of eternal torment either for the wicked or for unbelievers. But over time, pagan myths about the afterlife were repackaged and passed off as Christian. We looked briefly last time at the four Bible words traditionally translated ‘hell’. In this post we will go into them in more detail. Let’s be prepared for the Spirit to reveal the truth to us and not get stuck in tradition. Sheol (H7585) she’ôl From H7592; hades or the world of the dead (as if a subterranean retreat), including its accessories and inmates: – grave, pit, hell. All good, right up to the last word: ‘hell’ has been added there, only because the compiler has already decided that some scriptures where this word is used are talking about ‘hell’. The true meanings of the word, ‘grave’ or ‘pit’ have no context of punishment at all. Most modern Bible versions now translate this word accurately. Hades (G86) hadēs From G1 and G1492; properly unseen, that is, “Hades” or the place (state) of departed souls: – grave, hell. ‘Hades’ is used only 11 times in the New Testament, including 4 times by Jesus (and some of those are the same story in different gospels). It does not relate to punishment. It is the Greek equivalent of ‘Sheol’ and has been ascribed the added meaning of ‘hell’ in exactly the same way. In these Bible verses we will use Young’s Literal Translation, which is not easy to read but uses ‘hades’, the actual word in the original texts, and not the invented word ‘hell’. And you, Capernaum, which unto the heaven was exalted, unto hades you shall be brought down (Matt 11:23, Luke 10:15). “Capernaum, you think you’re so great but soon you’ll be nothing.” There is no context of punishment. And I also say to you, that you are a rock, and upon this rock I will build my assembly [ekklesia], and the gates of Hades shall not prevail against it (Matthew 16:18). We, the ekklesia, are going to overcome the grave. We do not need to be fearful of death. There are 2 uses of hades in Acts, both quoting a single OT reference to Sheol, that the Messiah’s soul was not left to hades, nor did His flesh see corruption (Acts 2:27, 31). Breaking the power of death: Where, O Death, thy sting? Where, O Hades, thy victory? (1 Cor 15:55). and he who is living, and I did become dead, and, lo, I am living to the ages of the ages. Amen! And I have the keys of the hades and of the death (Rev 1:18). Jesus has the keys of death and the grave – to set people free, not to lock them up! and I saw, and lo, a pale horse, and he who is sitting upon him – his name is Death, and Hades doth follow with him (Rev 6:8). A personification of ‘the grave’, or perhaps the Greek god who, in that mythology, rules over the place of the dead. and the sea did give up those dead in it, and the death and the hades did give up the dead in them, and they were judged, each one according to their works (Rev 20:13). Again, simply ‘the grave’ (and according to this verse, judgment comes after the dead come out of it, not before). and the death and the hades were cast to the lake of the fire – this [is] the second death (Revelation 20:14). Death and the grave are not the end. They are to be put somewhere else, and we will look at this ‘lake of fire’ in a future post. None of these references relates to torment or punishment. The only use of ‘hades’ which may appear to do so is in Luke 16:23, in the story of the rich man and Lazarus. and in the hades having lifted up his eyes, being in torments, he doth see Abraham afar off, and Lazarus in his bosom. This whole story may not be original to Jesus. Its roots can be traced back to the Hebrew traditional text Gemara Babylonicum, which dates from Israel’s captivity in Babylon. The primary characters in the story are not distinguished from one another by righteousness or wickedness but by wealth and social standing. This whole section in Luke’s gospel is a series of lessons about trusting in riches and failing to help the poor, directed primarily at the religious leaders and their supporters. Jesus’ purpose in (re)telling the story was not to give a literal account of what the afterlife looks like. We will look at this parable again later in this series. Meanwhile, there are links to articles on the subject at the foot of this post. Tartarus (G5020) tartaroō From Tartaros̄ (the deepest abyss of Hades); Greek mythology the place where the Titans were incarcerated. To incarcerate in eternal torment: – cast down to hell. This last sentence in the definition was a total invention of the compiler. For if God did not spare angels when they sinned, but cast them into Tartarus and committed them to pits of darkness, reserved for judgment (2 Peter 2:4). If they were ‘reserved for judgment’ then they had not yet been judged and it would have been unjust to subject them to punishment. This is not ‘to incarcerate in eternal torment’. Gehenna (G1067) of Hebrew origin ([H1516] and [H2011]); valley of (the son of) Hinnom; gehenna (or Ge-Hinnom), a valley of Jerusalem. Gehenna is the Greek word for the Valley of Hinnom, a literal geographical feature outside the gates of Jerusalem. It was an evil and dark place, used for a variety of evil acts (including child sacrifice to Molech); literally a place of perpetual fire, a rubbish dump filled with so much trash (including dead bodies during the time of Isaiah) that the fires never went out and worms would never die from lack of food. Therefore, behold, days are coming,” declares the Lord, “when this place will no longer be called Topheth or the valley of Ben-hinnom, but rather the valley of Slaughter (Jeremiah 19:6). Jeremiah’s prophecy was fulfilled with the destruction of Jerusalem in AD70, when dead bodies were literally thrown into Gehenna during the siege by the Roman army. Rather than eternal ‘hell’, Gehenna was a physical place for dead bodies. Jesus used the word ‘Gehenna’ in 11 instances. In all of them He was talking about kingdom life here and now, not about the afterlife (whether ‘going to heaven’ or ‘going to hell’). #1-6 are all the same concept: Jesus is using the imagery of the most disgusting location in Jerusalem to illustrate how destructive sin is (see also #12). #7 and 8 are the same passage in different gospels: “Do not fear those who kill the body but are unable to kill the soul; but rather fear him who is able to destroy both soul and body in Gehenna.” Suppose this is referring to God (and there are plenty of other possibilities), it does not say ‘punishes’ or ‘torments’, nor mention ‘eternal’, but only says ‘ is able to destroy’. Perhaps this might be a good proof-text for annihilationists, but not for those who believe in eternal conscious torment in ’hell’. “But I say to you that everyone who is angry with his brother shall be guilty before the court; and whoever says to his brother, ‘You good-for-nothing,’ shall be guilty before the supreme court; and whoever says, ‘You fool,’ shall be guilty enough to go into the fiery Gehenna”. So the difference between saying (1) ‘You good-for-nothing’ and (2) ‘You fool’ is enough to make the difference between (1) being sentenced to death by stoning and (2) being tortured for all eternity without hope of reprieve? That seems like an unreasonable escalation in punishment between two offences most of us would struggle to distinguish. In reality, Jesus is raising the standard of behaviour to include thoughts and emotions, emphasising how powerful our thoughts and words are. He is demonstrating how little it takes to negatively affect us, how just a bit of unresolved anger pollutes our lives and how unforgiveness lands us in a torture chamber of our own making. “Woe to you, scribes and Pharisees, hypocrites, because you travel around on sea and land to make one proselyte; and when he becomes one, you make him twice as much a son of Gehenna as yourselves”. The Pharisees were all about perceived righteousness. They obsessively followed every directive of the Law and made a show of their piety. They were self-righteous DIY-ers. Jesus was telling them that their own “righteousness” was like dung. They were proud of being ‘children of Abraham’ but He called them children of the refuse heap and compared them to those who sacrificed to idols. You serpents, you brood of vipers, how will you escape the sentence of Gehenna? They were going to end up outside the covenant. Some of those listening may actually have had their dead bodies dumped over the city walls into Gehenna during the Roman siege of AD70. The tongue also is a fire, a world of evil among the parts of the body. It corrupts the whole body, sets the whole course of one’s life on fire, and is itself set on fire by Gehenna. Evil from one body part corrupts the whole body. Religion uses the fear of an angry God and the fear of hell to keep us in order. But God calls us to simply love Him, ourselves and each other: no religious rules, nothing complicated about it. He is not angry with us, He is always the same: loving, faithful and full of grace and mercy. He has never changed. He has shown us how to love: He loves us so much that He was prepared to come in the flesh and die for us, even when we saw ourselves as His enemies. If we loved like that, the world would be a different place. I am not saying you should believe what I believe. I am offering you the opportunity to lay aside common misconceptions of what the Bible says so that you can read what it does say and engage with God for yourself to find out what He is really like. Note: The quotations in the header image of this post are from published articles sent to us in reaction to our previous post, 243. Not Counting Their Trespasses. Please excuse us for not linking to those articles. If you really want to find them, just google the phrases. These publications and websites raise issues we believe God is drawing to our attention today. The fact that they are listed here should not be taken to imply that we agree with all the doctrinal positions, conclusions or opinions of the authors. 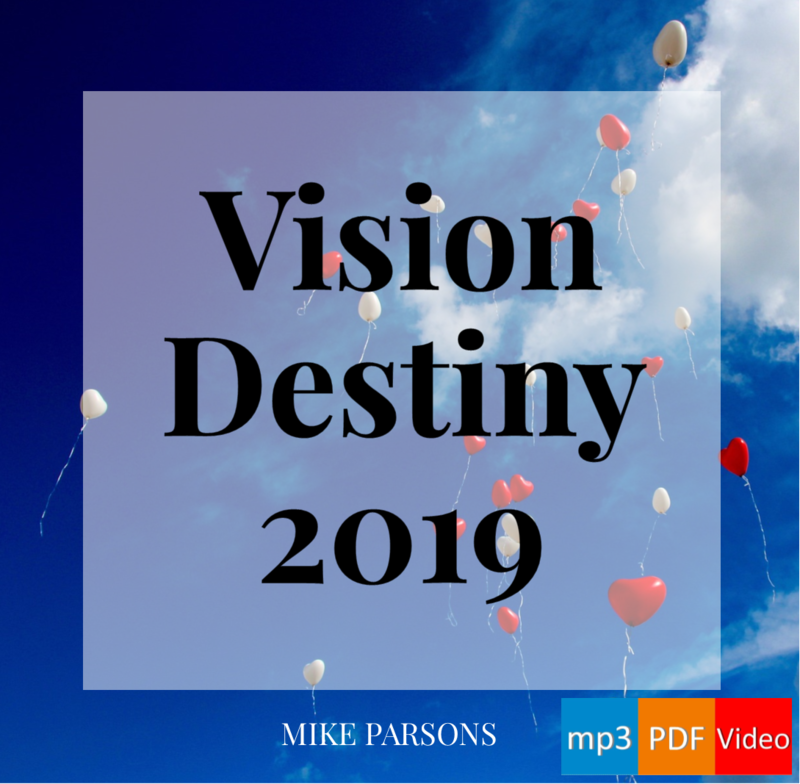 Then get this conference set recorded at the Freedom Centre in Barnstaple, UK in March 2018. Price £36 inc VAT. Thanks for your study. May I use it in it’s entirety as a teaching resource for my Forerunners’ class?